There is no doubt that India is fast becoming an epicentre of new technology as more individuals and businesses are turning tech-savvy. Embracing new technologies and integrating them in the day-to-day life can take the nation on the path of accelerated growth due to higher efficiency. The current technology trends are going to determine where India will be heading out in terms greater reach through communication, optimization of resources and cost-effectiveness. This is definitely not just a utopian concept; it is already a reality. In fact the nation is at the threshold of a huge transformation with some path-breaking technological innovations. Let's know some of interesting technology trends in India this year that may remain predominant in the coming years too. IoT is the combination of data streams and services where it digitizes the four basic usage models, which are managing, monetizing, operating and expanding. With the assets and machines, organizations can create effective business cases in three key areas such as digital supply chain, operational technology (OT) and customer interactions. The popular Android technology has taken a giant leap with the entry of Android Lollipop TVs by collaborating with Google. With this, users are likely to get a true Google experience on the large screen televisions. We have already witnessed virtual reality glasses and smart watches based on Android. Now, more such innovations are expected to be in the pipeline in the near future. 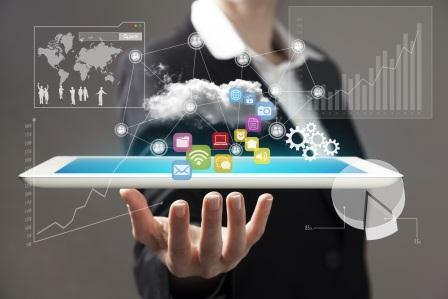 The integration of mobile and cloud computing will keep growing and provide platforms for increased usage of centrally coordinated applications for various devices. In the near future, the cloud technology will focus more on synchronising content and applications across multiple devices and addressing application portability issue. With this, usage of cloud platform will be even more prominent in the infrastructures such as communications, security and managed services. Business Intelligence or BI and Analytics along with performance management are considered to be one of the fastest growing software market in India, backed up by IT and expansion of business buying centers. In addition, a competitive business environment and improved economy are making businesses to focus on using advanced decision-making tools that help them rationalize costs and time to carry out businesses. This technology and its related industries will keep growing with their transformative approach. 3D printing is gradually picking up its speed in India, especially in the 3D printing space. Due to the nation's high population density, large volumes and low cost requirements, this technology is likely to thrive fast and revolutionize various industries such as consumer goods, healthcare, aerospace, manufacturing, retail and even the defence. 3D printing can trigger a radical transformation in terms of design, manufacturing and the supply chain model in India. This is not the end of the list. In fact, there would be more such technology trends that are likely to facilitate and help the nation to break technological barriers and provide more real-time and interactive user experience. Well, this is just the beginning.